Howden Floral and Horticultural Society was formed in 1854 and held its first exhibition on Thursday 16th August 1855. This took place in the field adjoining the Bishop's Manor House, which was kindly lent by Mr G.Clark. 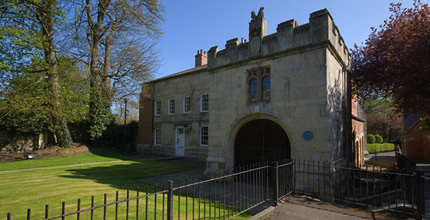 At that time, the Goole Times described how visitors would enter from the Market Place, go across the Hall yard, with the Manor House on the left, and pass beneath the ruins of the beautiful gateway erected by Cardinal Langley. They would then have before them the avenue called The Ashes, with the moats enclosing the orchard and fish pond on their left, and the meadow where the flower show took place on their right. Due to the outbreak of the First and Second World Wars, the shows were halted from 1914 to 1920 and again between 1940 and 1946, but have been held every year since. The hundredth Howden Show was held in 1979 and it was then that it became a two-day event. In 2007 the show returned to its traditional home in The Ashes and also reverted back to its original one-day format.